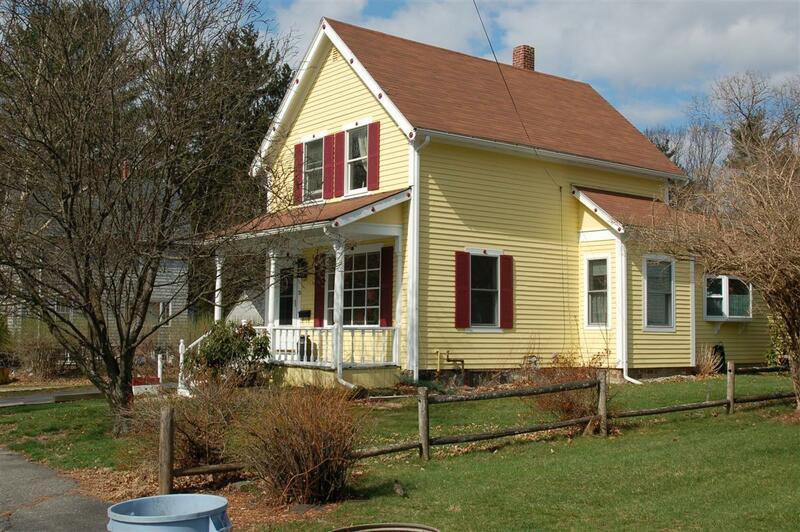 1 3/4 story house on 0.33 acres built about 1888 with clapboard exterior, gable asphalt roof. One unit of 7 rooms, 3 bedrooms, and 1 bath. This property was once owned by Nathan Clark, a farmer. and connected to his homestead lot at the corner of Dascomb and Clark Roads. Nathan Clark's estate was purchased by Herbert A. Moody on Aug. 16, 1882 for $2200. The farm consisted of three parcels, the house lot with buildings, an adjoining 23 acre 114 3/4 sq. rods parcel on the east side of Clark Rd and a 23 acre lot across the street on the north side of Dascomb Rd. Herbert A. Moody was a carpenter and builder and lived on Clark Road ( formerly known as Lowell St. or Rd. in Ballardvale) Herbert transferred the deed to Almon S. Moody, a minor, through his guardian Samuel G. Sargent of Methuen, for $1500. on Aug. 23, 1883. Herbert A. Moody did however retain some of the property of the Clark farm and parceled off house lots along Clark Rd and Chester Street. He then built and sold homes or lots, as he developed some of the former Clark Farm land. This lot and dwelling house was sold to William Lawrence on June 26, 1888 for $1400. William purchased an adjoining lot from Herbert Moody on Dec. 28, 1889. William Lawrence was born on Jan. 1, 1837 in Ireland, son of William & Susan Lawrence both English. William came to America in 1860. He married Mary Smith b. Jan. 28, 1835 in Ireland, daughter of Thomas Smith of Scotland. They were married on Nov. 20, 1860 by the Rev. Packard of the Episcopal Church of Lawrence, MA . William & Mary would have eight children; Mary A. b. 1861, William J. b. 1864 - d. June 1894, Sarah E. b. 1866, Martha Jane b. July 1867, Ellen M. b. 1868 - Nov. 1889, George F. b. Dec. 1869, Thomas A. W. b. Oct. 1873 and Nellie S. b. 1879. Four would survive to adulthood. William was a Laborer. His wife Mary S. died on July 15, 1910 and William died on Jan. 22, 1918. With his death, oldest surviving son George F. Lawrence became heir to the estate. George was a House painter and never married. The 1920 Census records list George F. 50, head of the household, sister Martha T. Pearson widow, 55 weaver wool mill, sister Sarah E. Sleath 55, widow, a maid in a Boys School. His brother Thomas W. 47, widower, steam fitter in a cotton mill. Thomas's two sons George W. age 11 b. RI and Stillman A. age 10 b. MA both in school are also living with their Uncle. The 1920 Andover Valuation lists George F. Lawrence on Chester St. House & shed $1100, shed $50., 1/4 acre of land $150. George F. would purchase and additional parcel of land from Wilfred E. Moody on April 8, 1927. The deed was not recorded until Dec. 5, 1945. George F. Lawrence died Oct. 1943. His nephews, George W. and Stillman R. Lawrence would inherit and sold the property to Lionel F. & Viola P. Buckley on Nov. 7, 1945. The Lawrence family had held ownership for 57 years. The Lawrence family are interred at Spring Grove Cemetery. Frederick H. & Sonia A. Buckley would then purchase the home on Aug. 27, 1966. The property was placed into the 13 Chester St. Nominee Trust on March 28, 2004 with Sonia A. Buckley and Christopher R. Buckley as Trustees. Sonia A. Buckley continues as Trustee in 2017. The Buckley family has now owned for 72 years.